Professor Amanda Spink has been appointed to a Chair in Information Science at Loughborough University. She joins the Department of Information Science from the Queensland University of Technology in Australia, where she was Research Capacity Building Professor of Information Science. Professor Spink’s research focuses on developing theories, models and empirical studies of information behaviour. She has over 330 publications and six books. Her most recent book, ‘Information Behaviour: An Evolutionary Instinct (Springer)’, provides a new evolutionary and interdisciplinary theoretical and research framework for understanding information behaviour. 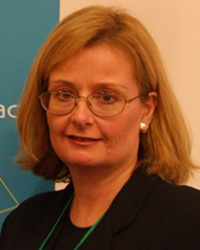 Professor Spink has been noted as an intellectual leader for Library and Information Science and for having the second highest citation h-index in the field. She has also recently been appointed Editor of the Emerald Library and Information Science book series. Loughborough's Department of Information Science is ranked as the top institution in the UK to study Library and Information Management (Times Good University Guide - June 2009) and has consistently achieved very high ratings in the National Student Survey and the Research Assessment Exercise. The Department offers a range of programmes at undergraduate and postgraduate level within the broad area of Information Science, including: Information Management and Business Studies, Information Management and Computing, Publishing with English, Web Development and Design; Information and Knowledge Management, Information and Library Management and Information Management and Business Technology. It was awarded the coveted Sunday Times University of the Year 2008-09 title, and is consistently ranked in the top twenty of UK universities in national newspaper league tables. In the 2009 National Student Survey, Loughborough was voted one of the top five universities in the UK, and has topped the Times Higher Education league for the UK’s Best Student Experience every year since the poll's inception in 2006. In recognition of its contribution to the sector, the University has been awarded six Queen's Anniversary Prizes.